Caran d’Ache, Maison de Haute Ecriture, draws on a rich legacy of expertise to carefully preserve the art of handwriting and fine arts. It creates exceptional products rigorously and passionately in the great tradition of Swiss manufacturing. 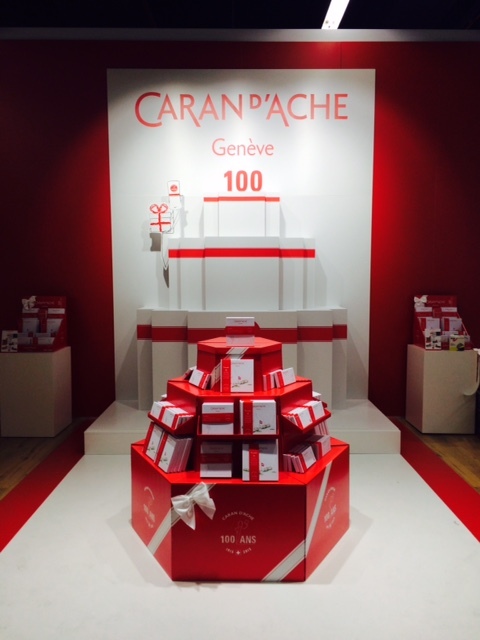 Originality, creativity and Swiss quality are the values that Caran d’Ache and Whitebook Switzerland have in common. This is where the worlds of paper, writing and fine arts converge. Whitebook has created the Caran d'Ache 100 years special edition notebook "Colorbook". The 100-years special edition Colorbook was given to selected Caran d'Ache customers and partners during the year of celebration in 2015.